Do Ты want an Office reboot или revival? Выбор фанов: No. I do not want those things. Выбор фанов: wtf? Jim is amazing! What hair style do Ты like best on Pam? FROM 'THE SURPLUS': What was the most important thing Ты learned this week? This isn't a wordy Статья as much as it's just a little collection of pictures from the past seasons. I'm not going into my what I like and don't like about the changes Pam has gone through throughout the Показать (some I really like and some I don't so much), but it's cool to look back either way! Ты should know the territories. I always considered myself a different kind of girl. Mostly because I always got treated differently, by my family, by my peers and even my teachers. When I was younger, I always felt like the outsider; the one no one would ever listen to или understand, always ignored, always picked last for a game, ridiculed in anything I сказал(-а) and did, with no one ever giving me a chance to Показать my full potential. Okay, the only reason I’m Письмо this is because the show, “The Office” needs to be defended a bit. Now, I don’t care if Ты don’t like the Показать anymore, that’s fine, go and tune into “Parks and Rec" and Присоединиться their spot instead.” This Статья is for the ones that still stand by “The Office” 100%; Фаны that understand that a Показать must evolve, as well as the characters, so the Показать does not go stagnant. I personally think the Показать would be incredibly boring if ideas were not at least tried and for chances to be taken. I just finished up making an Office: Power час video. What is a power час Ты may ask? It's 60 shots of пиво in an hour. For a video power час such as this, there are 60 one минута clips from the Office seasons 1-6. After each clip, a screen is shown to remind Ты to drink the shot of beer. By the end, Ты should have drank between 5 to 7 beers depending how full Ты fill your shot glass. Pretty simple, eh? The Armando Показать begins with one suggestion from the audience, which is then interpreted by that night's Armando (performed by The Office's Angela Kinsey) through a personal and truthful improvised monologue. Inspired by that monologue, a cast composed of veteran Chicago and Los Angeles alumni perform scenes which, in turn, inspire a response from Armando. This propels hilarious interchanges between Armando's monologues and the company's scenes. How Jenna Fischer got the chain to invite her character back for a drink. By Greg Morabito for Eatery, 8 Feb 2017.
a reply was made to the forum post: Избранное One-Liner? a reply was made to the forum post: Stuck on a desert island, which 3 characters are Ты taking? a poll Добавлено: Do Ты like Charles Minor? 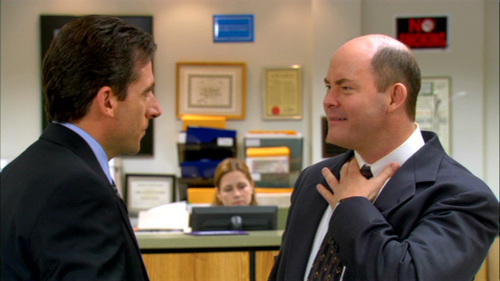 Which of these is NOT something Todd Packer did while Michael was working with him in sales? Stuck on a desert island, which 3 characters are Ты taking?